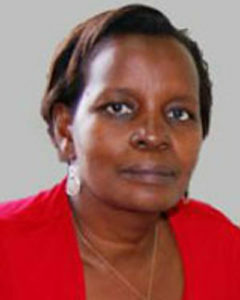 MAKERERE – Makerere University director Human Resources Mary Tizikara has joined Uganda’s unemployment ranks. The university’s appointments board has turned down her request for an extension of her contract. Through a June 30 letter, the chairperson of the appointments committee, Bruce Baraba Kabaasa, wrote back to her, saying the appointments committee “declined to grant your request”. However, according to one account, the appointments board was not satisfied with her performance. Over the last two months, according to that account, there are happenings that the board might not have sanctioned but were effected. At this stage, it is not clear what those might be. The board is in the process of establishing the facts and, therefore, felt it would not be wise to renew her contract when she is being investigated. Tizikara has in the past served as the secretary of the university’s appointment’s board. One day before the board pronounced itself on her contract, the vice chancellor of the university, Professor John Ddumba Ssentamu, had written to Tizikara telling her to prepare to handover. “The purpose of this correspondence is twofold. First, to appreciate your service as director human Resources… and second to request you to arrange to hand over office on Friday, June 30, 2017, to Dora Senoga Zake, who will act as director of human resources,” Prof. Ddumba wrote. Tizikara responded saying she would handover on Monday, July 3 since she had received Prof. Ddumba’s Friday, June 30 letter late. The appointment’s board had in the April extended Tizikara contract by two months, ending June 30. It is not clear for how much longer she wanted it extended. When contacted on Tuesday, July 4 for comment, Kabaasa said it is the board that decides for how long one’s contract should be extended. It varies from two to six months though, he said.